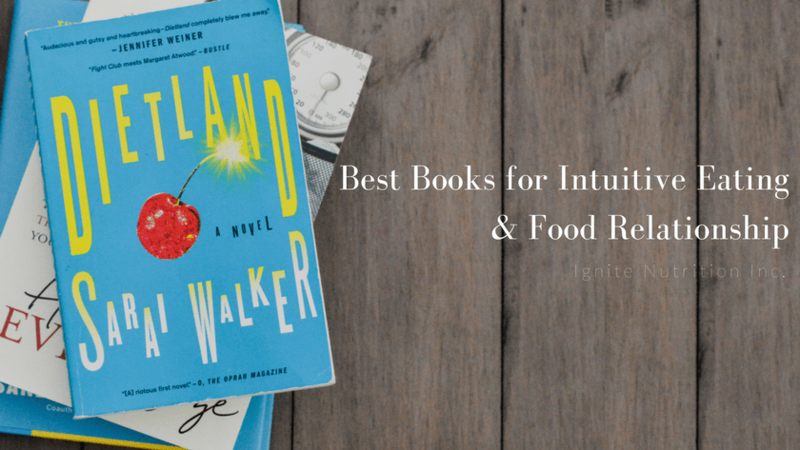 Best Books for Intuitive Eating & Food Relationship | Ignite Nutrition Inc. 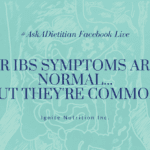 I get asked ALL the time – Andrea – what books do you read to learn about intuitive eating and food relationship? I have clients ask, I have friends and family ask, and I have my staff and students ask. Many people wonder where I’ve developed certain skills and counselling techniques – and ultimately, it often comes down to what I’ve read and what has resonated with me and my practice. I’m an ardent reader. I consume books at a wild rate – both fiction and not – to balance out all the journal articles I read (ha, ha – and also because I enjoy it). I learn best by reading and reflecting, and then going on to teach what I’ve learned. So I’ve compiled this years list of books that have had the biggest impact on both me and my practice. 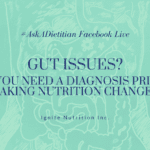 It’s no secret that I’ve jumped full on into HAES and intuitive eating – favouring that stance since starting my practice but not really having the research and language developed in that area – just knowing – diets don’t work and are damaging. So this year I took a real educational focus on how I could bring the best of my philosophies to my clients, and shaped my skills through various AMAZING experts in the field. Without further ado – here is my list of BEST books for Intuitive Eating and Food Relationship! Disclaimer: I am in the midst of learning to use Amazon links to generate passive income. My purpose for this is to help pay for website maintenance – because running a website is EXPENSIVE – it seems there are tools and apps and plugins we all need to pay for just to keep sites functional and easy to use! If you’re not comfortable with this (the product does not cost you more, Amazon kindly pays Ignite a 10% referral fee) that is TOTALLY fine! Don’t click the link, and just hop on over to Amazon or your local book store to purchase. If you do click and purchase, thank you kindly for helping support this blog! These books are the basics of where to start on this journey – I often recommend these as a supplement to counselling – so that you continue to gain knowledge and understanding as you move through individualized counselling. Intuitive Eating: A Revolutionary Program that Works by Evelyn Tribole and Elise Resch. This is a great place to start gaining understanding on why Intuitive Eating works, the skills, and real life stories. Evelyn and Elise are true pioneers in the intuitive eating movement, with their work being highly respected and the framework in which most intuitive eating dietitians and health professionals practice. Without understanding WHY diets don’t work (and why they do more harm than good) is often at the core of being able to let go. Letting go of the promises and the lies diet culture is built on. For me, I seek knowledge and have to understand the WHY behind everything. These books give you the WHY – you know what they say – knowledge is power! Health At Every Size: The Surprising Truth About Your Weight by Linda Bacon. Linda is leading the Health at Every Size (HAES) movement. She does incredible work around helping people understand the TRUE meaning of HAES, and works hard to end the stigma and prejudice around weight and health. Her mission is to “(inspire) a global transformation to a more just world, where all bodies are valued, respected, and supported in compassionate self-care”. Why Diets Make Us Fat: The Unintended Consequences of Our Obsession With Weight Loss by Sandra Aamodt. The science behind why diets don’t work. 95% of diets fail. There are NO diets that exist that actually improve our health and work long term – yet doctors, dietitians, and health care professionals keep prescribing them. Would it be acceptable to prescribe a medication that doesn’t work, but actually does the opposite long term? NO! So why do they prescribe weight loss? Find out with this book. These books are some of my favourites. Diet culture is built on a mountain of shame. It expects you to stay silent, it isolates, and it creates a feeling of alone-ness. These books show is the commonality of our suffering, and help us to feel more connected. Big Girl: How I Gave Up Dieting and Got a Life by Kelsey Miller. Kelsey shares her intuitive eating journey honestly – including her personal triumphs and struggles. Her journey resonated so much with what I hear from clients – plus – she’s hilarious! A must-read. Dietland by Sarai Walker. I think Sarai Walker is my spirit animal. This book was my absolute TOP READ this year. It’s *FINALLY* a fiction book all about saying a big F-U to diet culture and various forms in which people are oppressed (primarily women!). It’s dark humour and unapologetic cussing had me DYING with laughter and in the end – feeling like I could change the world. I’d say this is a great read for those who have at least started on their intuitive eating journey, so they can be in on all the inside jokes. When I started my own business, I had a serious case of ‘not-enoughness’. It’s something I see often in my clients, but nothing I had ever experienced on that level before. While I’ve always been a high achieving perfectionist – the last two years really played up my insecurities, and really pushed me towards figuring out exactly who I AM – not who I think I need to be. I read these books as much for myself as I did to gain language to help my clients struggling with ‘not-enoughness’. I listened to both as an audiobook to gain literacy in this remarkable area of self-compassion and found it to be one of the core areas of my practice now. Self compassion wasn’t taught to me in University (or frankly, anywhere in my life) and I always felt there was something missing from counselling on food relationship, or really, any sort of nutrition behaviour. These books shone a light on an area SO integral to finding the healthiest, happiest you – and that’s why they’ve made my Food Relationship List! So – that’s my list for the year! What did you read this year that shaped your life, your practice, or your health in a positive way? I’d love to hear it! If you’re ready to work with a dietitian on improving YOUR food relationship – Ignite can help with that – check out our food relationship counselling! I just finished I Thought It Was Just Me over Christmas break! Thanks for the additional suggestions! Dietland wasn’t what I expected but I really enjoyed it! I also liked Intuitive Eating, and have “Big Girl” on my list. Me neither but I ended up absolutely LOVING it! Big Girl is hilarious and honest – I listened to it as an audiobook – Kelsey does such a great job reading it!